If you’d asked me two months ago what I knew and thought of the Democratic Socialist Republic of Sri Lanka (let’s call it ‘Sri Lanka’ for simplicity’s sake), I’d offer up words like “beachy,” “hot,” and “India-ish.” Although I knew it was a country worth visiting, for years Sri Lanka was eclipsed by its Asian neighbours, whose stamps peppered my passport: Japan, Thailand, Vietnam, and so on. Today, my answer to that same question is: Sri Lanka is one of the most beautifully diverse, unique, and welcoming places on Earth. I wish I’d traveled there sooner, and I can’t wait to travel there again. I must admit: I’ve never been the type of traveler who relies on or particularly enjoys research and planning; for me, it’s enough just to be in a new environment, and to trust that I’ll see what I need to see. But anytime I made mention of my upcoming trip, friends who’d been to Sri Lanka begged me to pack them into my bag. The glowing endorsements people gave of Sri Lanka’s sights, sounds, smells, and tastes convinced me the country had all the ingredients necessary for a fantastic holiday. And indeed it did (and does)! 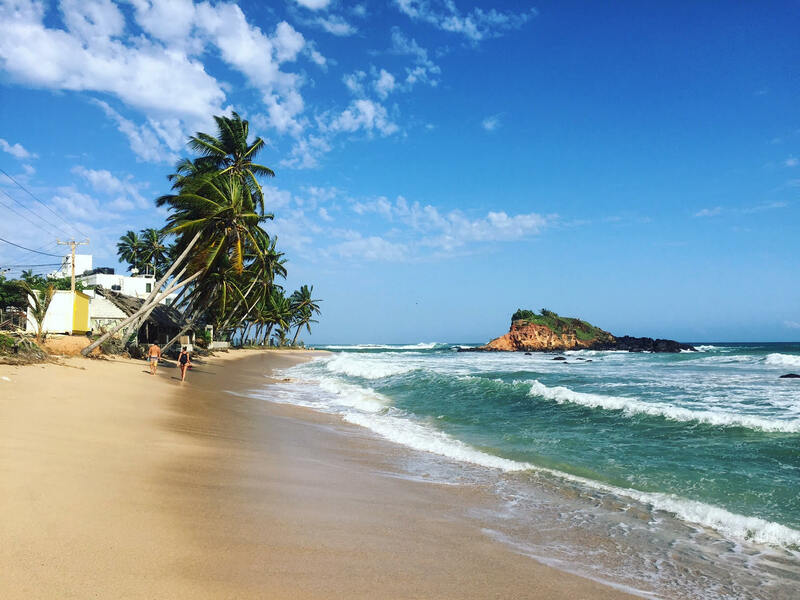 From Arugam Bay to Mirissa and Tangalle, Sri Lanka’s beachy coastline is the perfect spot for sunning, surfing, and sipping an ice-cold drink. I’d recommend a tall, frosty Lion, the nation’s beer of choice. Unlike other Asian countries I’ve visited, Sri Lanka’s beaches are in immaculate condition. Here, the water is so blue you can confidently tag your Instagram photos with #nofilter and sting your followers with envy. Ella was, without question, my favourite spot in Sri Lanka. 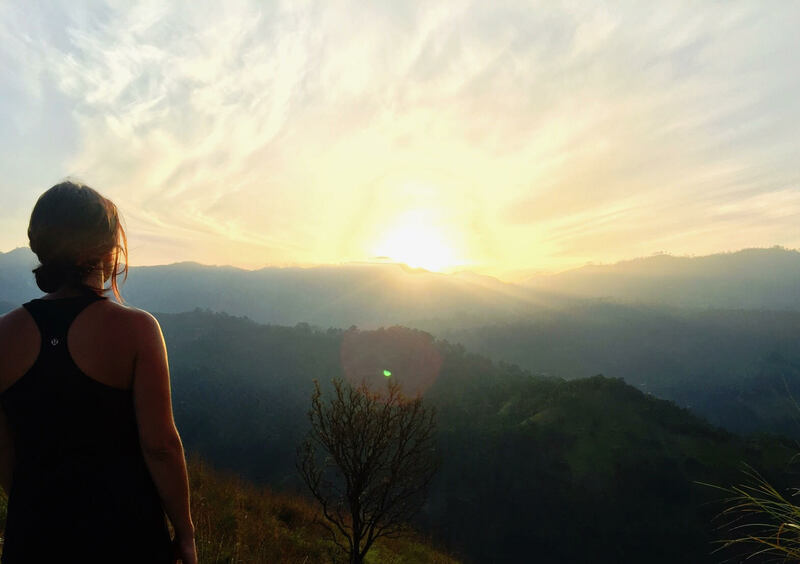 Nestled in the Sri Lankan hillside—a part of the country I’m keen to get back and see more of—this small town offers reprieve from the coastal heat, and its flora and fauna will have you totally transfixed. I recommend a trek up to Ella Rock, and setting your alarm to summit Little Adam’s Peak at sunrise. Both offer spectacular views of Sri Lanka’s expansive southern plains. Upon my return home to Melbourne, my pack was bursting with bags of fragrant Ceylon tea. Mornings are made better with a cup of this Sri Lankan specialty, which comes in black, green, or white tea varieties. As the fourth largest tea producer in the world, Sri Lankans take their tea seriously. 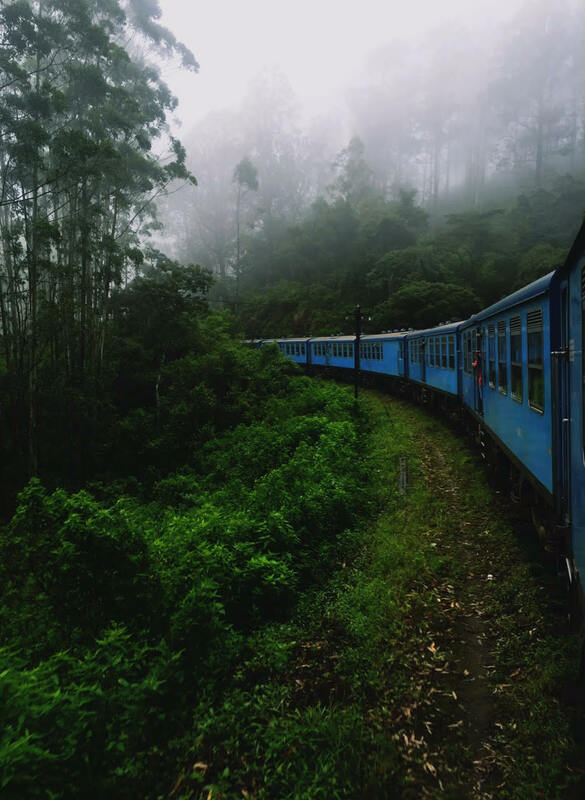 The best way to revel in the beauty of the region’s many tea plantations is to secure a train ticket between Ella and Kandy. 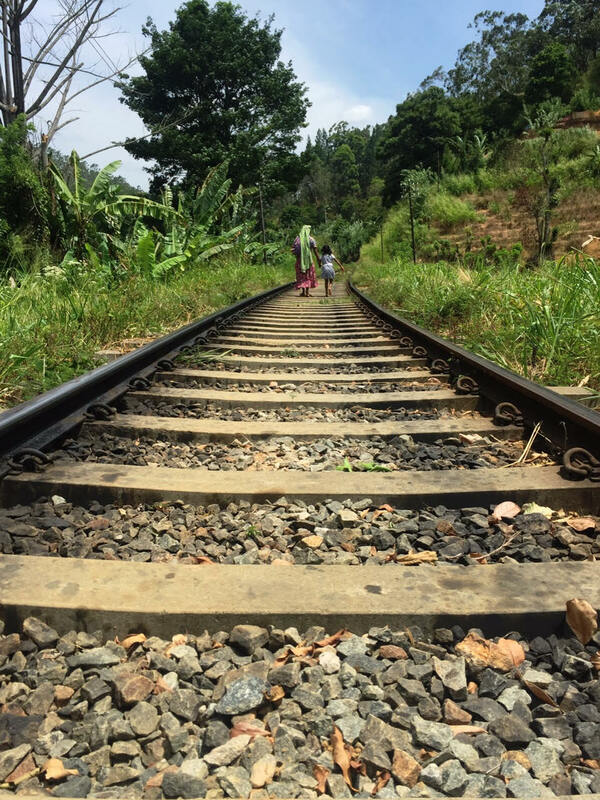 A seat on the train’s observation carriage (where you can hang out the windows, snapping photos and drinking in the fresh air) costs 1,000 Sri Lankan rupees (LKR) or about $9 CAD. This 60km passage is touted as one of the world’s most beautiful train rides, and rightfully so. Be sure to pack snacks, though, as you’ll be on board for at least six hours (eight if a truck somehow becomes stuck on the tracks…). 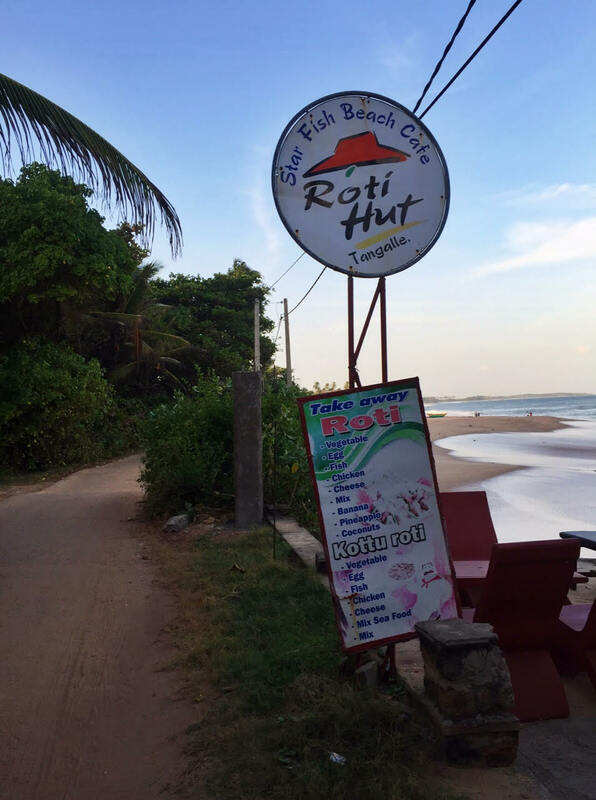 No trip to Mirissa would be complete without a banana, chocolate, and coconut roti—a flatbread also used in kotthu, another delectable Sri Lankan dish—from the No. 1 Dewmini Roti Shop. Follow your nose as you weave your way through the town’s winding alleyways, and rest assured that the “No. 1” in the shop’s name is entirely justified. As you approach the immigration desk at Colombo’s Bandaranaike International Airport, you’ll be met with posters of smiling Sri Lankan men and woman and the word “Ayubowan” (Sinhalese for “Hello” or “Good day”). These posters are no farce: the Sri Lankan people are among the happiest and friendliest I’ve ever met! Everywhere I went, I felt welcomed as a guest and warmed by the smiles and waves I received from Sri Lankans of all ages. On a solo trip to Kandy’s iconic Sri Dalada Maligawa (also known as the Temple of the Tooth, as the site is said to house one of Buddha’s teeth), two gentle, elderly women who spoke no English took my hand and guided me through a traditional prayer offering. This is but one of countless examples of the generosity and hospitality Sri Lankan is known for. Ready to hop a flight to Sri Lanka but not sure where to go or what to do? Get in touch—I’d love to play tour guide and share more of what this beautiful country has to offer. 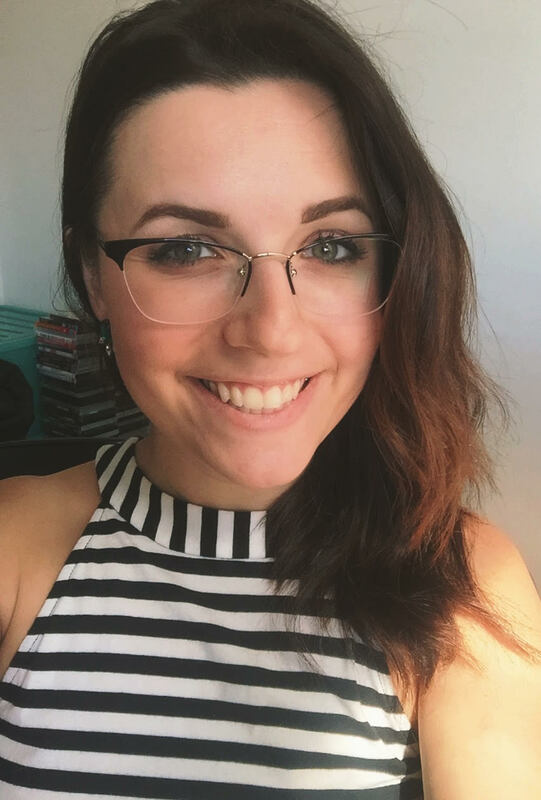 When it comes to writing, Jessica wears many hats: copywriter, editor, travel writer, blogger… you name it, she’s tried it. Born and raised in Saskatchewan, Canada, Jessica currently calls Melbourne, Australia home. In addition to managing a writing and editing firm Paper Plane Communications she is also the Little Writer behind the lifestyle blog Little Writer, Big World. Forever in search of adventure and free Wi-fi, you can find Jessica on Instagram, Facebook and Twitter. It’s easy to find out the best time to visit Sri Lanka. There are two monsoon season in an year.The south west monsoon is between May to August. The south, west and central hill country of Sri lanka experiences rain during this period. The Maha Monsoon which is the weaker one hits the North, East and the central cultural triangle of the country during October and November. One solid reason to visit Srilanka is “Srilanka, is a miracle”’. Srilanka is a bundle of contradictions. During my last trip to Srilanka we booked a short term rental and had an awesome time. Ayubowan means ‘May you live long” !